It was founded in 1721. A plot of land opposite Moira Castle was given by the Hill family from Hillsborough for the building of the Church in 1723. The Rawdon Family contributed much of the expense in the building of the Church, although Sir John Rawdon himself died the same year the Church was built and before it was consecrated in 1725. His funeral service was in Magheralin but he was buried in Moira. The Church building had a steeple with wooden slates but it was blown down in a freak storm in 1884 and was replaced by the present copper spire at a cost of £370. 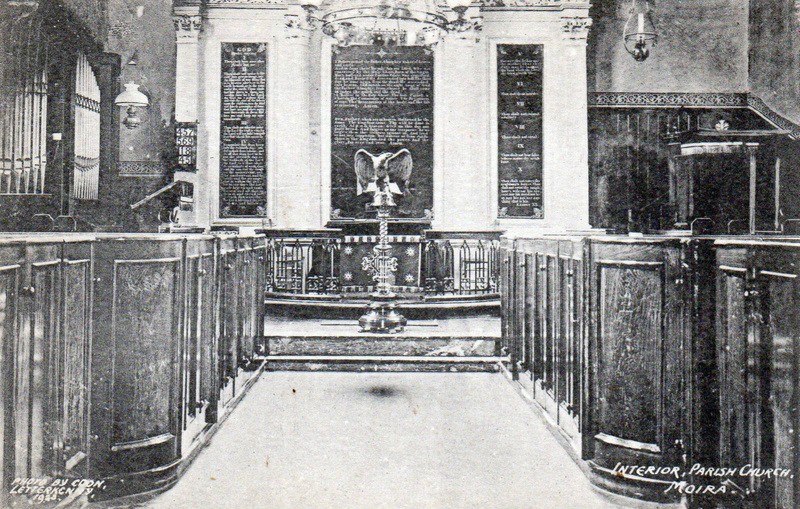 Doors that once hung on the entrance to the Castle Ballroom are now used as the West door in St John’s Church and the bannister rails are now the church communion rails. Interior of St John’s Church Moira 1925 – Click image to see a detailed view in a new window. © copyright. used by permission of St.John’s Parish Church. 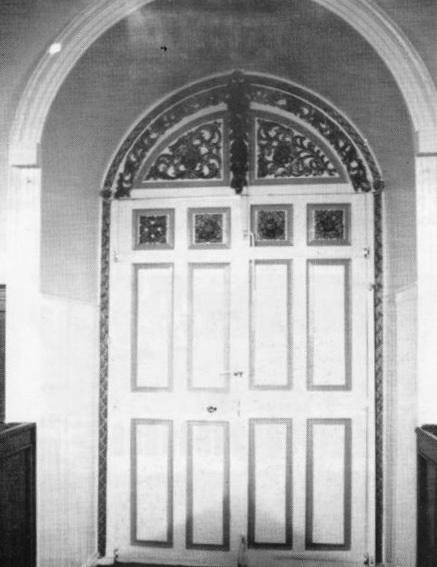 The west door of the church was taken from the Ballroom of Moira Castle. © copyright. used by permission of St.John’s Parish Church. A church existed at the time of the Revolution but little is known of it. As early as 1680 there may have been a small building for worship. There were buildings on the site early in the 18th century but a new building was erected on their present site around 1770. That building was replaced by a building in 1829 costing £550 and was demolished in 2016. 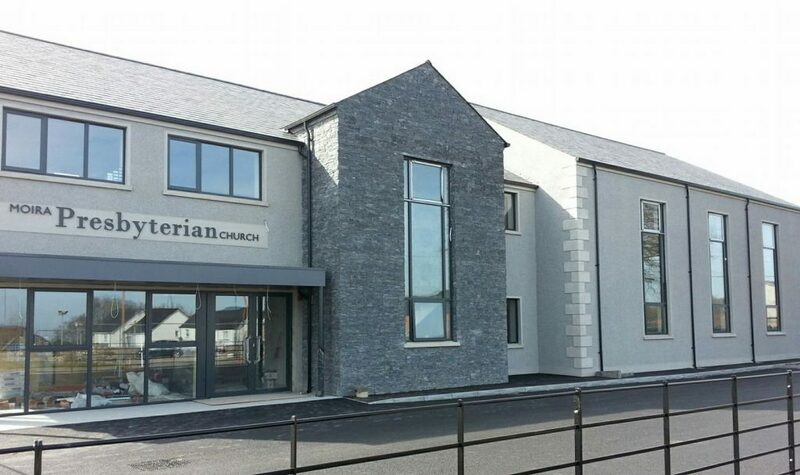 And in 2017 that building was replaced by a lovely modern building. Moira Presbyterian Church ©Copyright Brian Shaw Image licensed for reuse under the Creative Commons Attribution-ShareAlike 2.0 license. The present building dates from 1822. Until demolition in recent years, the church manse was very close to the front door of the church and was also dated to the early part of the nineteenth century. It is unclear which building was erected first or whether it was always planned to be like that. 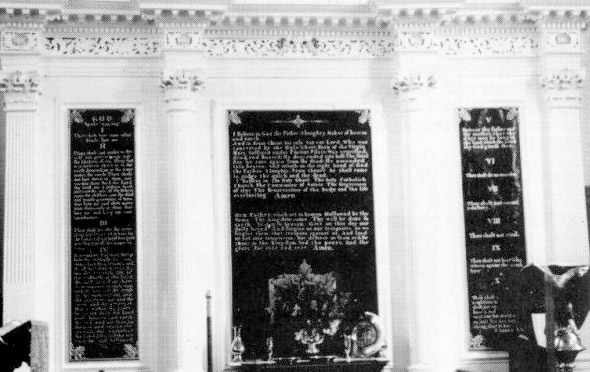 In 1837, there were places of worship for the Wesleyan and Primitive Methodists. Moira Methodist Church © Copyright Kenneth Allen and licensed for reuse under this Creative Commons Licence. The site of the Non-Subscribing church is almost certainly where the first Presbyterian building stood and on a map of 1900 it was still designated as First Presbyterian. The earliest Presbyterian gravestones are on that site. 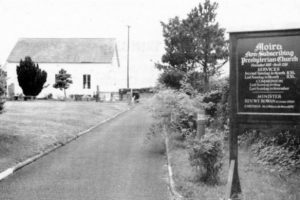 The church has several historic Moira Presbyterian items including a Communion plate, marked “Moyrah” and a precentor’s flute. In more recent times other churches were formed. 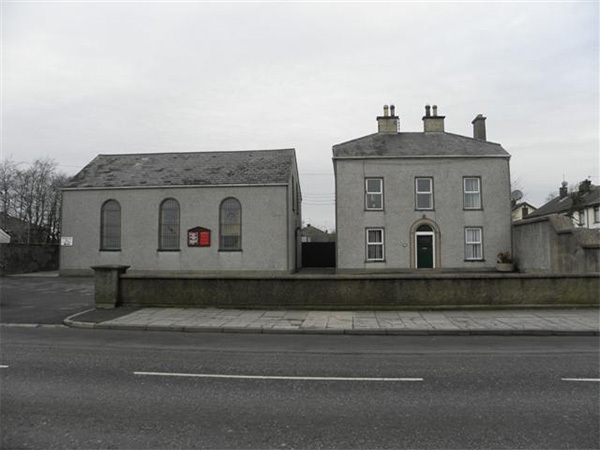 The Pentecostal church meets in what once was the Market House and there is a Baptist Church on Clarehill Road. 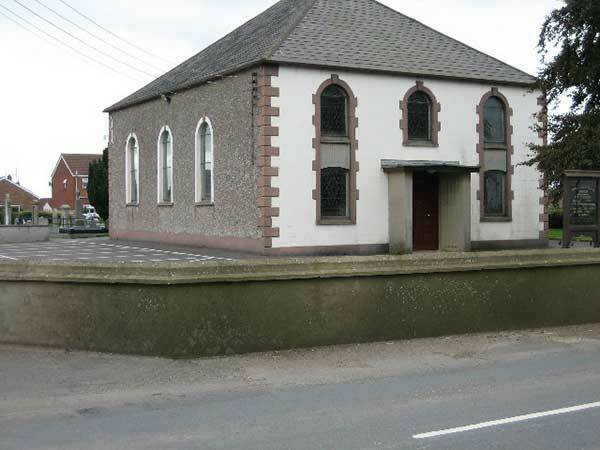 A Brethren Gospel Hall is on the Old Kilmore Road.